Video game systems can be split up into two sections, portable and home consoles. Home consoles are restrained to the owner’s home, but portable consoles can be brought anywhere. When it comes to portable consoles, no company does it better than Nintendo, who practically invented the market, and still dominate it today. However, across the decades of portable consoles, which of Nintendo’s portable powerhouses are the best? This is easily the most infamous system on this list, even though it’s a remarkable concept. While virtual reality is starting to become more commonplace nowadays, it was barely a concept back in 1995. So Nintendo wanted to enter this untapped market, and created the Virtual Boy. It displayed “true 3D” graphics, but unfortunately, these graphics are all bright red, and using the system itself is headache and nausea inducing. These problems, along with the semi-high price, poor portability, and lack of games all caused the Virtual Boy to go down in history as Nintendo’s worst console. 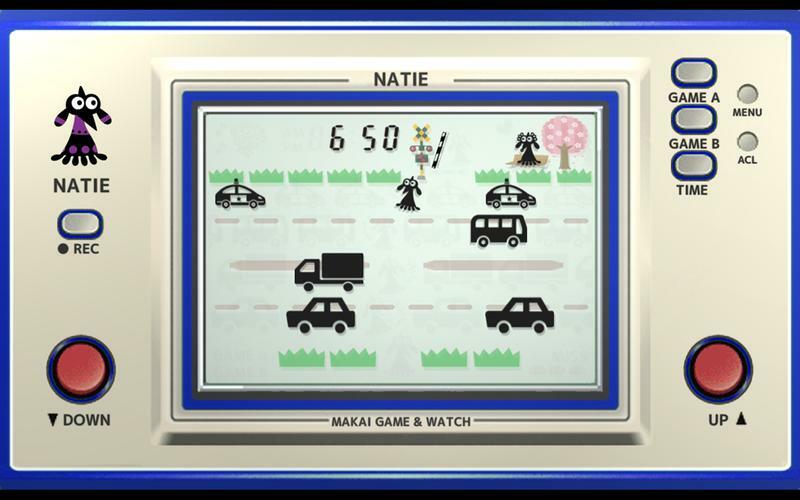 The Game and Watch systems were what really made portable game consoles popular, all the way back in 1980. These systems were simple, and could each only play one game, but the fact that you could play games on the go, in a time before the NES was released, was mind-blowing. These systems are the equivalent to a phone app now, but their importance can’t be overstated. The Game Boy was released after the Game and Watch systems, and it gave a true gaming experience on the go, and one that still holds up today. It was similar to the NES in that you could switch out different cartridges to play different games, including ports of NES and SNES games. These games, while presented in only green, were/are really fun and unique, and even launched popular series, such as Kirby. The Game Boy was the first portable console to make gaming on the go truly fun, and every further console tried to channel that. Speaking of channeling the Game Boy, the Game Boy Color was almost the exact same system, but it displayed colors, not just puke green. This helped the games look better, and the Color also had stronger processing power, allowing for more ambitious endeavors that resulted in more polished games. It’s easy to see how much it helped just by looking at the Pokemon series, as Pokemon Gold and Silver were filled with much more content than their predecessors, which were released for the original Game Boy. Before the Wii skyrocketed Nintendo’s popularity, the DS attracted a fair amount of attention for its new design, which switched up the single screen design that had gained popularity. Not only that, but the bottom screen could also be used with gameplay as a touch screen. This one extra screen opened up a whole new realm of possibilities, which resulted in tons of additional ways to interact with games, whether it’s for movement, or just a different way to press a button. The DS also had the capability to use polygons, which allowed for games with 3D graphics, and even a few ports of N64 games. While the DS did innovate with a new way to play games, the new system proved to be too much for some developers to implement well, as well as the fact that because the system was new, every game had to involve the touch screen in some way, which ended up hurting some games. But the DS did end up paving the way for later systems to improve on its design. While the DS may have innovated with an additional screen, the Game Boy Advance was the perfect culmination of everything that made the Game Boys before it great, and could handle much more ambitious games. The Game Boy Advance was equivalent to an SNES on the go with just how good the games looked, as well as how well they played. This allowed improvements to series that, at least on portable systems, weren’t always the best. It also managed to make already good series that much better. Plus, it has an amazing library of games, both first and third party. Another great addition is that all Game Boy and Game Boy Color games are playable on the Game Boy Advance. The Game Boy Advance perfected what the previous portables had introduced, but it’s only number 3 on this list. Just as the Game Boy Advance perfected the Game Boy systems, the 3DS perfected what the DS did in more ways than one. Not only did it better implement the dual screens into gameplay, sometimes by using it less, as well as making a system capable of displaying graphics close to the quality of the GameCube. This ushered in the movement of many series jumping to full 3D, most notably Pokemon. There were also remakes and ports of games from many different systems, including the N64, GameCube, Wii, and Wii U. The 3DS brought Nintendo portables into the third dimension, and its resounding success, especially over the Wii U, helped influence the next and best portable. Nintendo’s newest console is also their best portable, due to its combination of portable and home console features. Not only that, but this is the first time any portable console has had such great games and graphics, which are obviously on par with other home consoles. Not only that, but the Switch itself can be used in games in portable mode, seen in 1-2-Switch! and Super Mario Party. The Switch is also large enough to see the game very well, but not too large that transporting it becomes a struggle. The only downside is that bringing out a $300 console on the go could end poorly, but that’s true of any portable, and there are tons of cases and carrying cases for the Switch. It hasn’t even been two years since the Nintendo Switch released, but it’s already the best Nintendo portable console, with some of the best Nintendo games ever, and more on the horizon, most notably Super Smash Bros Ultimate. While the Switch is already the best portable console, it’s already rapidly approaching the spot for best home console as well.